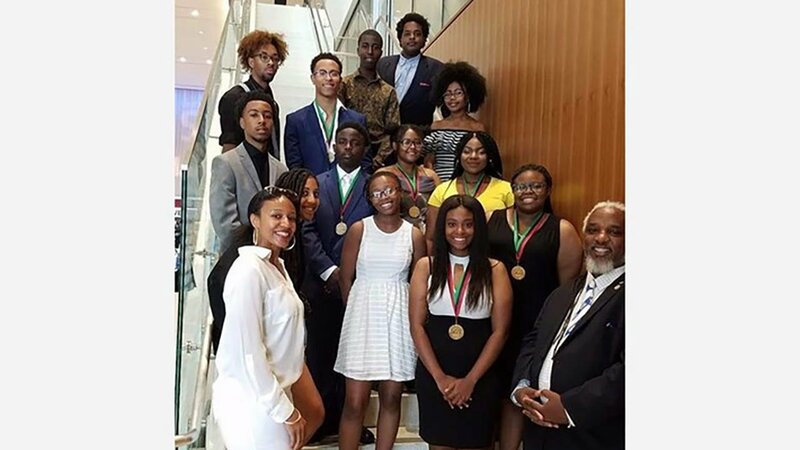 CHICAGO (WLS) -- The Chicago Southside Branch of the National Association for the Advancement of Colored People sent 12 students to compete in the 40th national ACT-SO competition, held July 12-15, in San Antonio, Texas and brought home six national medals. ACT-SO is the acronym for Afro-Academic, Cultural, Technological and Scientific Olympics. Students competed in local competitions and scored between 95 and 100 in their category to earn the rank of gold medalists, which qualified them to compete at the national competition. These 12 ACT-SO winners were among hundreds of students from across the country competing to win on the national stage. ACT-SO offers 32 competitions in six categories, including STEM, performing arts, humanities, business, culinary and visual arts. Students can compete in up to three competitions. "I am so pleased for these students. They have worked hard throughout the year. For their hard work to culminate in winning at the National level is extraordinary. We are so proud of them and their commitment to ACT-SO," Chicago Southside Branch NAACP President Rose Joshua said. "I also want to thank the chairpersons, mentors, sponsors, organizers and educational partners who have given their time and talent, working in some volunteer capacity over these past several months, to help students develop their ACT-SO projects and performances from the local to national level." Each student has the distinction of being titled the national gold or silver medalist for 2018. Along with this title comes scholarship money and an Apple iPad. ACT-SO is a program of the NAACP to provide youth of African descent a platform to demonstrate academic, artistic and scientific prowess and expertise, affording them the same recognition often only reserved for entertainers and athletes.